The name Sringeri is derived from Rishyashringa-giri, a nearby hill that is believed to have contained the heritage of Rishi Vibhandaka and his son Rishyashringa. Rishyashringa appears in an episode in the Bala-Kanda of the Ramayana where a story, narrated by Vasishtha, relates how he brought rains to the drought-stricken kingdom of Romapada.According to legend, Adi Shankaracharya is said to have selected the site as the place to stay and teach his disciples, because when he was walking by the Tunga river, he saw a cobra with a raised hood, providing shelter from the hot sun, to a frog about to spawn. Impressed with the place where natural enemies had gone beyond their instincts, he stayed here for twelve years. Adi Shankaracharya also established mathas in the northern (at Jyotirmath, near Badrinath), eastern (at Puri) and western (at Dwaraka) quarters of India. 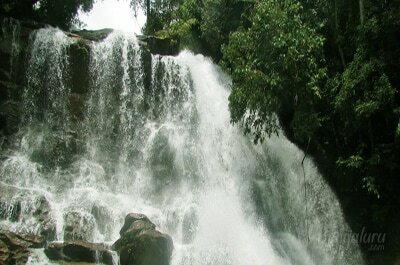 Sirimane Falls is located at a distance of 5 km from Kigga near Sringeri, a popular pilgrim center. Nearest Airport is Mangalore and nearest Railway stations are udupi (96 KM) and shimoga (114 KM). Kigga, a small village which houses the beautiful waterfalls. Kigga is about 16 km from Sringeri. Water from falls feeds coffee estates and paddy fields in the downstream. A moderate entry fee is collected to maintain the walkways and viewpoints. The money collected also supports a small hydraulic power plant which is built adjacent to falls which lights Kigga houses. The entire activity is controlled and maintained by local bodies. 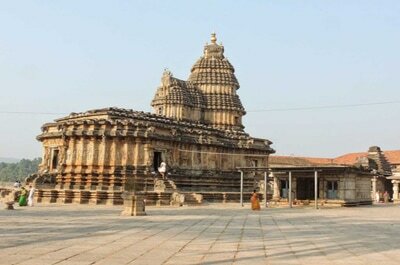 Ambutheertha is located about 15 km to the North-West of Theerthahalli Town. The Sharavathi River originates at Ambutheertha. Ambutheertha is nature's wonder in Theerthahalli taluk of Shimoga. Before joining to the Arabian sea at Honnavar, River Sharavathi takes a big 'leap' falling from a height of 253 meters (829 ft) in the world famous Jog Falls, which is the highest plunge waterfall in India and the 7th deepest in the world. 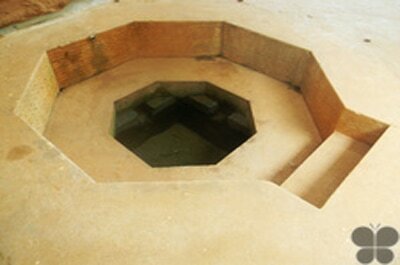 Ambutheertha is considered as a Holy place. It is believed that Lord Rama pierced the earth with his AMBU (bow and arrow) to get water out to satisfy the thirst of his wife Sita, and hence the name 'Ambutheertha'. Mandagadde Bird Sanctuary is an island located near the Mandagadde village which is 30 km from the Shimoga town in Shimoga district in the Indian state of Karnataka. The island spans an area of 1.14 acres and it is surrounded by forest and a river named Tunga. 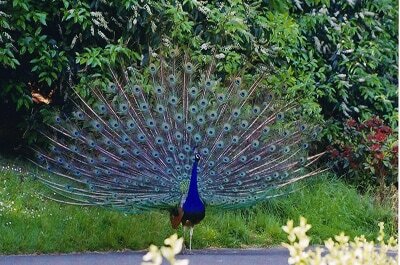 Mandagadde is one of the 20 important sanctuaries in the country and attracts birds in large numbers between July and September. Several species of birds lay eggs on the island in sanctuary during July to September, with peak season of August. The birds prefer the top branches of the trees for nesting as the island is partially submerged by the swollen river during monsoon. This sanctuary is important for bird nesting with over 5,000 birds here during the peak season. A watchtower has been put up for viewing different species of birds. Boating can be taken for closer viewing of the nesting birds. Seethanadi Nature Camp in Hebri is certainly an escape from the maddening rush of daily life. Amidst refreshing greenery, this lovely camp takes you away from the furore of cities. Besides setting out on nature walks and admiring the marvels of nature, the camp organizes a number of activities for its guests. Head here for a hassle free vacation. 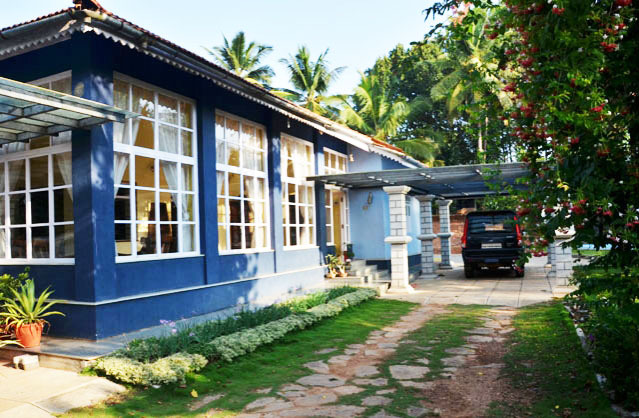 This Nature camp is situated inside Someshwara Wildlife Sanctuary. This Sanctuary protects the last remaining low elevation rain forests in entire Western Ghats. White water rafting is available in the monsoon.